The Female Quotient Founder says agencies need to work together to make real change in the industry. Shelley Zalis says the industry is "sleepy" when it comes to diversity and inclusion. "I think we’re just sitting back and waiting for things to change. When I think about agencies - that’s the creative side of our business and media defines culture and culture defines change. How do we harness the power of all these agencies together to work on something that will propel us forward?" 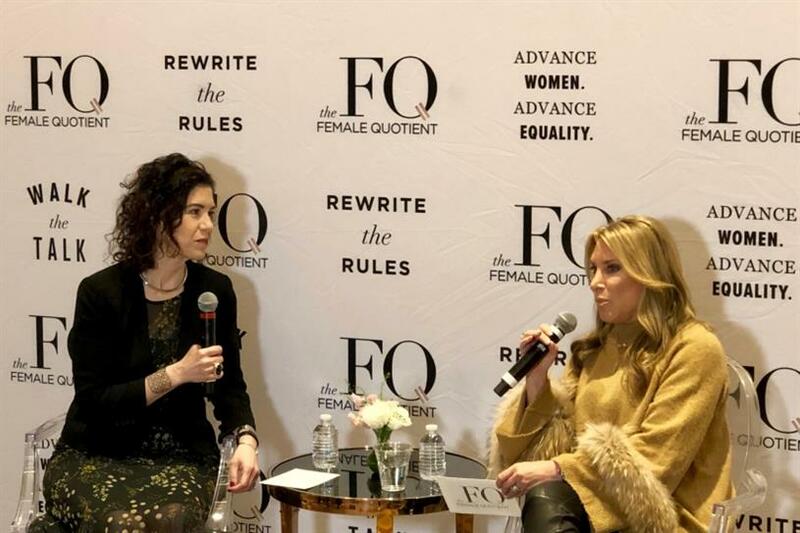 said The Female Quotient leader during the 4A’s Decisions 20/20 Conference in Washington, D.C.
Zalis spoke at TFQ Lounge alongside 4A’s CEO Marla Kaplowitz on Monday about where the industry is in terms of diversity and inclusion and what needs to be done next. "We have to start sharing what’s working or not working," said Kaplowitz. " We can’t say this is our secret sauce. If you find something that works, let’s share that adn show people what that looks like and drive that change together." When people, companies, groups unite, Zalis said the force can be unstoppable and powerful. She added that diversity should become a KPI for business performance. "We know businesses that are diverse perform 34 percent better," said Zalis. On the production side, Kaplowitz said that 4A’s agencies are taking Free the Bid and other organizations aimed at increasing the number of female directors in the industry seriously. The next step, according to Zalis, should be measuring the success of work created by female directors and production professionals. If a database of ads was developed around women in front and behind the camera, Zalis said researchers could see how the spots perform in the market. Zalis also passionately spoke out about her disdain for the phrase "unconscious bias." "It’s driving me crazy. We’re aware there aren't women at the top. It’s not unconscious anymore. It’s conscious - it’s now a choice," she said.